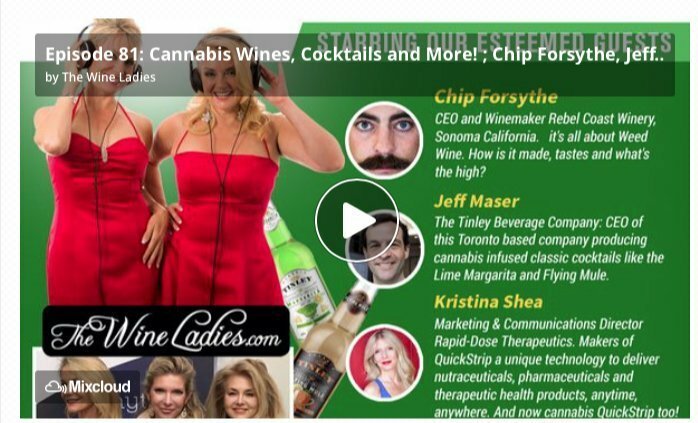 On this exciting podcast…Cannabis QuickStrip will be the smoke-free topic!!! The disruptive technology QuickStrip —No Smoke, No Smell and No Stigma delivery system! 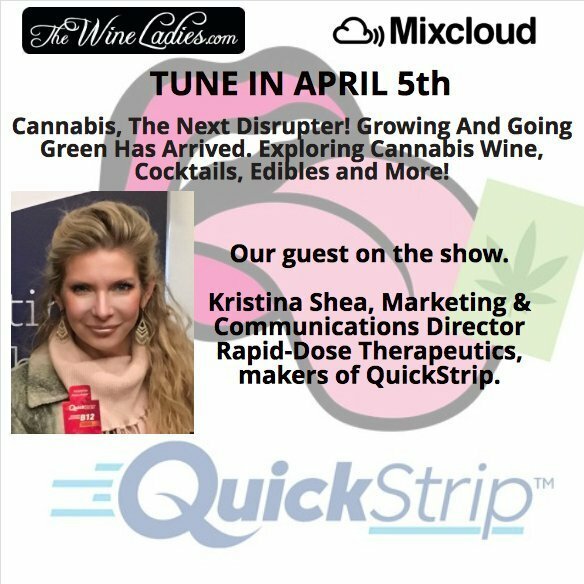 Kristina Shea, Marketing & Communications Director Rapid-Dose Therapeutics, makers of QuickStrip.Weed can now be enjoyed in a more subtle, socially acceptable and highly efficient way. No smoke, smell, no stigma, portable and so much more! Cannabis QuickStrip will be available in Canada May 2019. Listen to Kristina at 34:04 minutes in the audio podcast. Vitamin B12 may benefit your body in impressive ways, such as by boosting your energy, improving your memory and helping prevent heart disease. 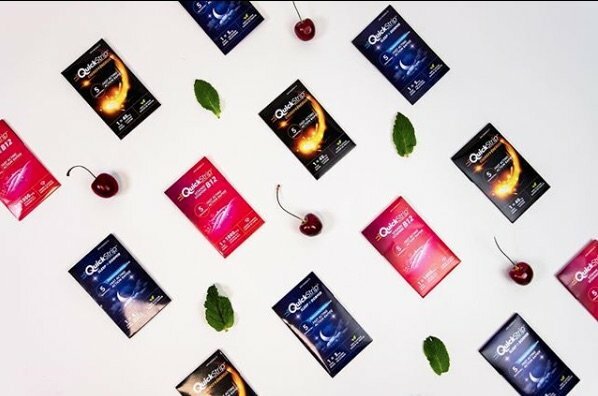 QuickStrip B12 is placed on or under your tongue, or inside your cheek — quickly delivering the active ingredient into your bloodstream and providing you with rapid results. Each strip contains 40mg of caffeine. Having caffeine before exercise will increase your metabolism which in turn makes you burn more calories throughout the day. Our Energy QuickStrips will help enhance this effect. When you use Rapid Dose Therapeutics’ melatonin supplement with its QuickStrip™ technology, you’re providing your body with quick delivery of melatonin into your bloodstream, as it bypasses the digestive system and provides you with rapid results! Introducing QuickStrip, the game changing delivery system. https://www.thewineladies.com/wp-content/uploads/2019/04/QuicStrip-B12-Caffeine-Melatonin.jpg 396 598 Susanne Seelig-Mense https://www.thewineladies.com/wp-content/uploads/2017/08/WineLadiesLogoTransparent.png Susanne Seelig-Mense2019-04-10 09:44:342019-04-10 10:44:34QuickStrip-No Smoke, No Smell and No Stigma cannabis delivery system! The Tinley Cannabis Margarita. This is one of the better ways to spend Cinco De Mayo this year! 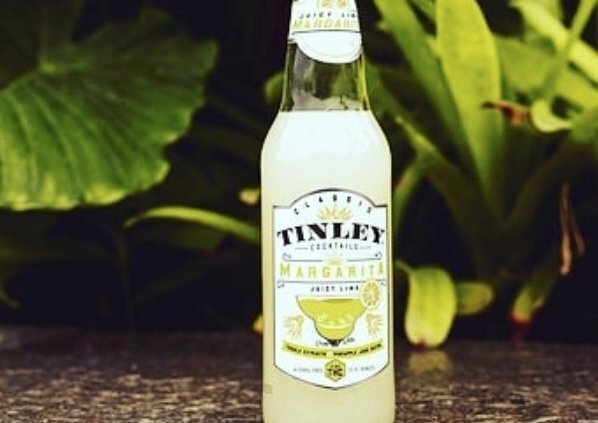 Tinley Cannabis Margarita (Alcohol Free) Alcohol-free, ready to drink beverage infused with real tequila and lime extracts, as well as Pineapple Jack Sativa. 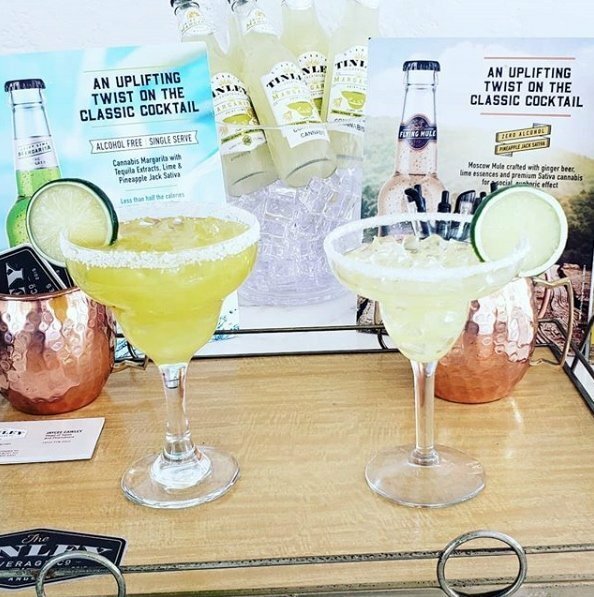 Less than half the calories of ready-to-drink alcohol margaritas, with the same great taste. Four single-serve (10mg x 4) bottles. 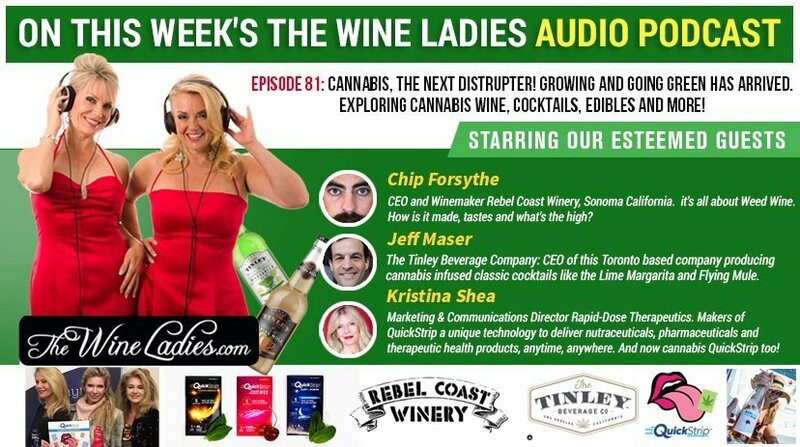 Up next, we deviate from the vine and turn our attention to The Tinley Beverage Company, based here in Toronto producing a number of cannabis based beverages including they THC infused classic cocktails. 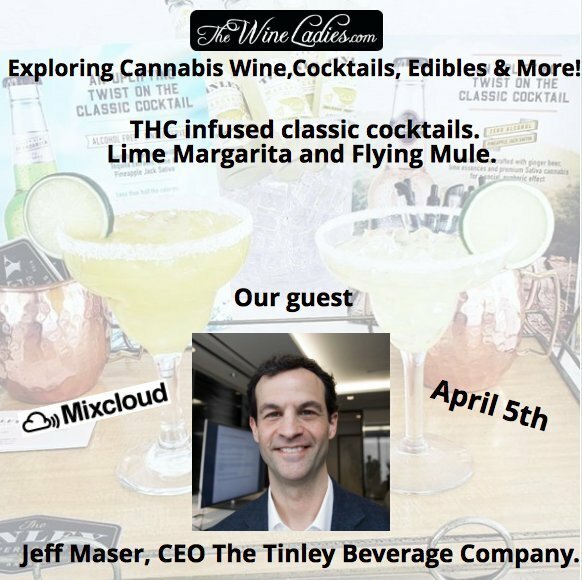 Tinley’s mission is , “to help consumers enjoy cannabis in familiar, classic beverages dosed to perfection! The Tinley Beverage Company Inc. is publicly traded on the Canadian Securities Exchange (TNY:CSE) and on the OTC Exchange (TNYBF:OTC). 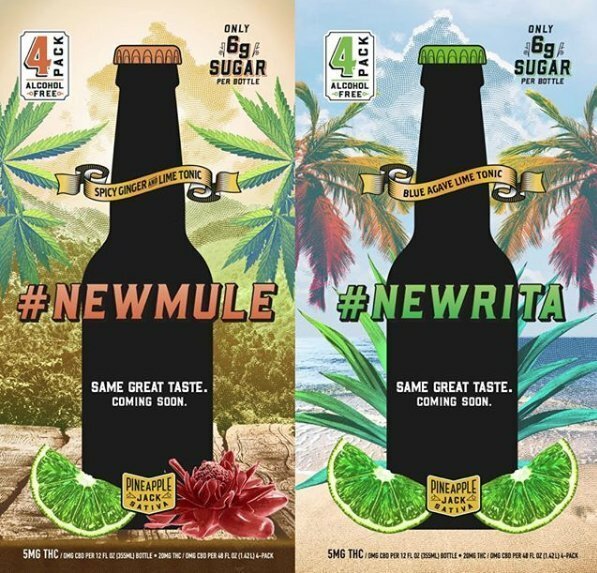 The company is producing cannabis infused classic cocktails like the Lime Margarita and Flying Mule. A single-serving, alcohol-free, ready-to-drink twist on the popular classic. 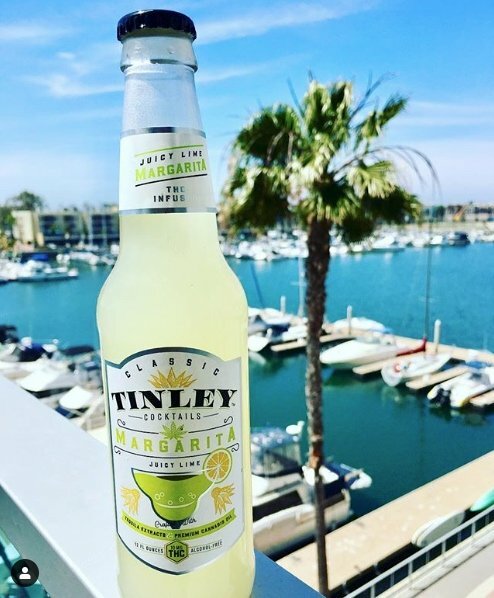 Tinley™ Margarita is infused with real tequila and lime extracts, and Pineapple Jack Sativa. Less than half the calories of ready-to-drink alcohol margaritas (only 60 calories/serving). Drink cold and enjoy. Our classic Moscow Mule-inspired cocktail, alcohol-free, crafted with ginger beer, lime essences and pineapple jack sativa. Single-serve, ready to drink, with less than half the calories of ready-to-drink and bar-mixed alcohol Moscow Mules. Pineapple Jack is a sativa-dominant cannabis strain bred with Pineapple family and Jack Herer genetics, designed to provide a euphoric, blissful effect. https://www.thewineladies.com/wp-content/uploads/2019/04/Tinley-Bevearge-Margarita.jpg 571 598 Susanne Seelig-Mense https://www.thewineladies.com/wp-content/uploads/2017/08/WineLadiesLogoTransparent.png Susanne Seelig-Mense2019-04-04 16:59:192019-04-07 09:16:10Ready to drink cannabis margaritas! Tinley Beverage Company makes them and much more!